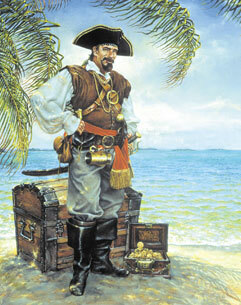 Pirates in Paradise features something for everyone as we pay homage to Key West’s early maritime heritage. 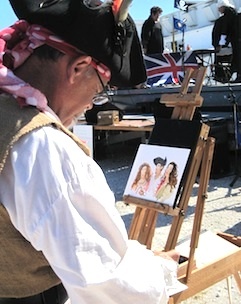 The visual arts are celebrated with a variety of art exhibits and activities for artists and art aficionados, including the pirate and maritime related exhibits at the Custom House & Mel Fisher Maritime Heritage Museum. Best known for his Captain Morgan’s artwork, Maitz artwork has been featured many of Pirates in Paradise Festival's promotional pieces and postcards. 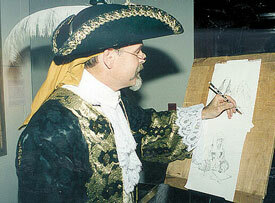 His pirate art has been featured in National Geographic, on a “Dateline NBC” program featuring discoveries at the site of the wreck of the Whydah, the San Diego Maritime Museum and the Orlando History Center. An Englishwoman, Rosalind came to Key West on vacation twelve years ago and has lived here ever since. She has published eleven novels (including “Seas Outside the Reef,” which is set in Key West), four books of poetry and a collection of short stories. A former mate on the schooner Wolf, her recent novel 'Landfall' is set in Key West during the time of Hurricane Georges and Hurricane Mitch. Through her combined career as an established professional novelist and her background in the trade as a cover artist, Janny Wurts has immersed herself in a lifelong ambition: to create a seamless interface between words and pictures that explore imaginative realms beyond the world we know. She has authored seventeen books, a hardbound collection of short stories, and numerous contributions to fantasy and science fiction anthologies. Her recent titles include the Cycle of Fire trilogy, and the Wars of Light and Shadow series, with Traitor's Knot just issued in hardbound. Her current release in trade paperback is a stand alone fantasy, To Ride Hell's Chasm. Other works include the popular Empire trilogy written in collaboration with Raymond E. Feist. Her imaginative paintings and cover art have been showcased in exhibitions of imaginative artwork, among them, NASA's 25th Anniversary exhibit, Delaware Art Museum, Canton Art Museum, and Hayden Planetarium in New York. Her work has been recognized by two Chesley Awards, and three times received Best of Show at the World Fantasy Convention. With two degrees in theatre, Riley spent a number of years as director of plays in Florida and the Bahamas. An opportunity to do historical research in the Bahamas led to writing The Lucayans, a story of the life of the Lucayn Indians, prior to European contact. She is also the author of “Homeward Bound” (a definitive history of the Bahamas to 1850), published in 1983. In addition to her historic plays, “Matt Lowe” (based on an 18th century Bahamian turtler, wrecker and sometimes pirate) and “Miss Ruby” (the story of William Curry's niece, who came to Key West from Green Turtle Cay in the 1890's), she has also written a history play about Anne Bonny & Mary Read based on her book Sisters of the Sea. John Viele is a board member of the Key West Maritime Historic Society of Key West and the Florida Keys and a retired US Navy submarine commander. His trilogy of the early settlers of the Florida Keys (The Florida Keys: A History of the Pioneers, The Florida Keys: The Wreckers and The Florida Keys: True Stories of the Perilous Straits) shares the stories of the island's first inhabitants and the struggles they faced. Since 1982, Robb has been a pirate entertainer, charting a course for unchartered waters and points unknown, even to himself. His new book, Memoirs of a Buccaneer: 30 Years Before the Mast, is a logbook of his travels during that time, the adventures he has had, the people he has met, the places he has been, and yes, the loves he has found and lost along the way. It's been a pirate's life in the truest sense of the term, and perhaps no place is more appropriate for the release party of his book than Pirates in Paradise, which plays a central role throughout. 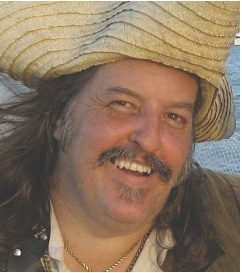 In his non-piratical life, Robb is an award-winning writer, author of the daily humor column RobZerrvations.com and CEO of StoryLaureate.com. 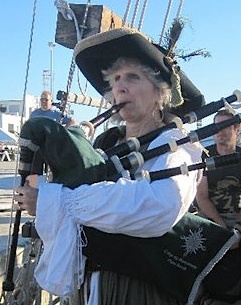 He also is lead singer of the band Knot for Sail, which will be performing around town. *photos by Tony Callahan, Callahan Digital Art, Mike Cuffin/Barefeet Photography, Anita Mixon, Wendy Wellman, Jan Minutti and Angelina Morgan.